Inside The Baby Boomer Brain Of Bill Jordan: "The King is dead...."
jockey and music director at WROV-AM in Roanoke, Virginia. 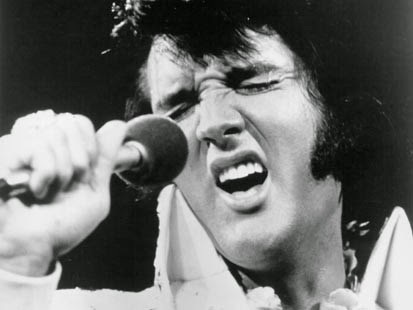 Around 12:30 a listener called in and asked me if Elvis was dead. "Are you kiddin'??? No. Elvis is definitely NOT dead." order and rotation, but freedom of choice was the rule for the older songs. tunes. Our afternoon guy never played Elvis stuff. Never. at Graceland at approximately 2:30 that afternoon. still remains a mystery to me. live from Graceland on the morning of his anticipated return. As you know, Elvis did not return on that date, or any other for that matter. on such a specific date, consider this. The date of his death was August 16, 1977.